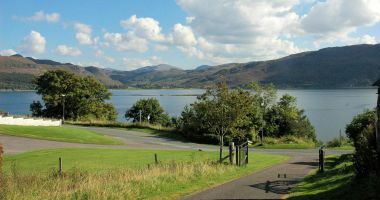 Strathardle provides comfortable and spacious holiday accommodation for up to 7 people. Large 3-bedroom detached holiday bungalow in elevated position with magnificent sea and mountain views. 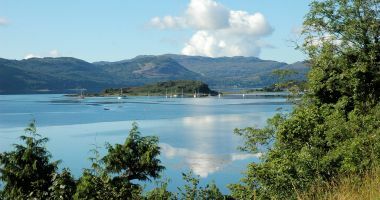 There are superb views from Strathardle, looking across Loch Carron towards Attadale. 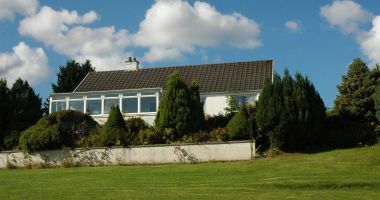 2-bedroom detached holiday bungalow in elevated position with magnificent sea and mountain views. 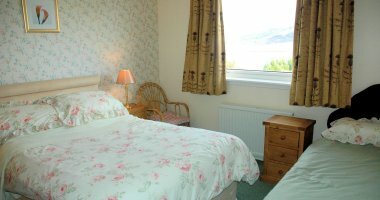 The conservatory is large and spacious and gives panoramic views of the sea and mountains. 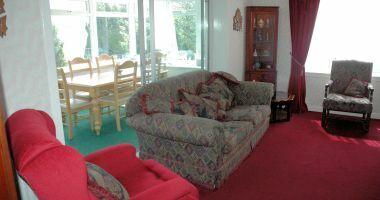 There is a large, spacious and comfortable lounge with doors leading in to the conservatory. 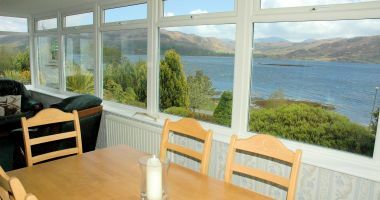 There is a well equipped kitchen with a dining table and excellent views to the south from the window. There is a comfortable lounge with large flat-screen TV and excellent views south from the window. Our prices are all-inclusive - there are NO extras! Please Contact Us in order to check availability and to place a booking. A free Wi-Fi Internet connection is provided in both Strathardle and Tarlogie. 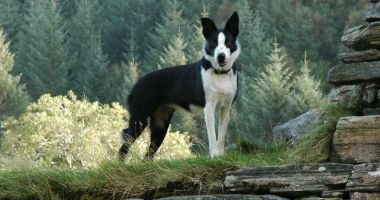 Well behaved dogs are welcome in both Strathardle and Tarlogie by prior arrangement. We do not make an additional charge for dogs but would request that guests ensure their dog is kept under reasonable and appropriate control at all times. 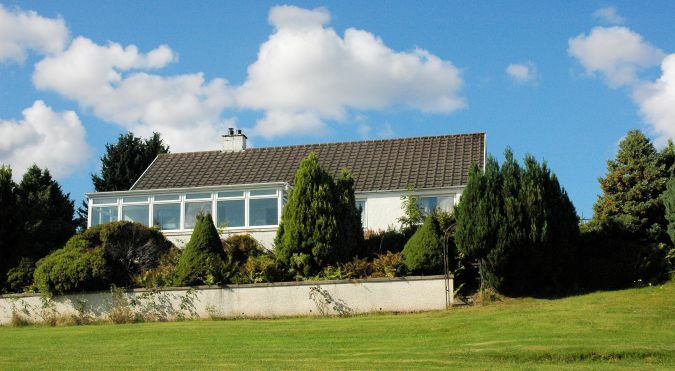 Strathardle is a spacious, comfortable, and well appointed 3 bedroom bungalow with accommodation for up to 7 people. 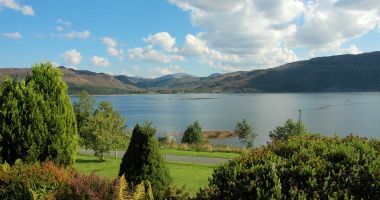 The property is located in Croft Road, Lochcarron and is in an elevated position with superb views south across Loch Carron towards Attadale. The sleeping accommodation comprises a family bedroom (1 double + 1 single), a double bedroom, plus a twin bedroom. The property has full oil-fired central heating. All the bedrooms are equipped with wash hand basins, mirrors and shaving points; in addition, the one double bedroom has an en suite shower room with WC. The living accommodation comprises a spacious lounge, and a large conservatory containing chairs, a settee, plus a dining table and chairs. The views from the conservatory are quite stunning! In addition, there is a large well equipped kitchen with an adjacent dining room, and a main bathroom with bath, shower, and WC. 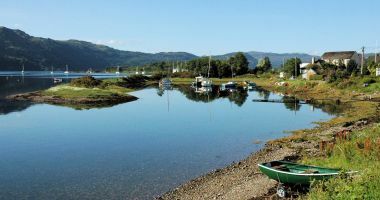 Doneve Self Catering Holidays - members of the "Visit Lochcarron" holiday letting agency. Find "Visit Lochcarron" on Facebook! Disclaimer: whilst we endeavour to ensure that the content of this website is accurate and up to date at all times, we cannot accept responsibility for errors and/or omissions, especially those resulting from changes which have been made to the properties and the service we provide since the website was published. If you are in any way unsure as to what we provide, please contact us. Copyright © 2015/2019 Mrs Evelyn MacKay. All Rights Reserved.